Clients always ask “what kind of tree should I plant”? My first response is “look around your neighborhood and see what trees are doing well”. the quality of the soil and the availability of water/irrigation. First and foremost is the predicted lifespan of the selected species for planting and the predicted growing width and height. 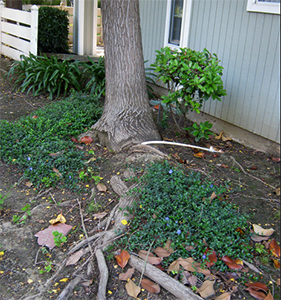 To often neglected is the trees below-ground structure which may interfere with existing walk/driveways or underground utilities. It is also important to consider how the environment may alter the size, growth rate, or maintenance requirements. regulations; how close to the street or property lines? 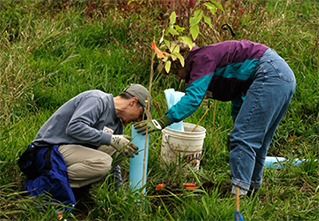 Bay Arborist can implement a tree planting program custom designed for existing situations and site preparations are set forth under ISA tree planting guide-lines. Tree supports can be set in place with a time schedule for tree health check-ups and support removals.